Organizations are not investing in key business functions that have long- or medium-term implications. Leaders lack confidence in the leadership pipelines of their organizations. Leaders recognize the importance of innovation to continued growth but are divided on how to drive that innovation. When surveyed, the majority of business leaders are very confident that their organizations will outpace the competition. When probed further, however, over 40 percent had concerns about specific obstacles to growth. Some perceived obstacles related to operational matters, but most had to do with the preparedness of the next line of leaders – that leadership pipeline. In fact, only 14 percent of companies feel that their leadership pipeline is ready. Leadership Development is a key component to firm value and to long-term firm success. Ability to influence and align people toward a goal. Yet, these skills are often put on a back burner because they are “soft skills” or perceived as things that “cannot be taught”. This could not be further from the truth. Time and again, executives enroll in short-term programs that focus on skillsets within one or more of these four areas. Analysts look at the overall health of an organization to determine a firm’s value, and a significant component to that health is the strength of the leadership team. More and more, research is showing that strong leadership leads to better financial results. So much so, in fact, that investors give companies with “strong leadership teams” a 35 percent premium in valuation. Combining the questions about the level of readiness of leadership pipelines with the view that companies with strong leadership are worth more, then, leads to the conclusion that investment in executive development can be a key driver of firm value. Emory Executive Education has a range of clients who were able to weather the most recent financial crisis and both emerge earlier than competitors from the downfall and see greater sustained growth since that point. Additionally, these organizations, collectively, have been successful in pursuing innovative strategies that have yielded greater efficiencies. By their investment in Executive Education, these companies have yielded better results over time. They are worth more and they continue to perform well. Further, they are able to attract and retain top talent by maintaining a reputation as being an employer that values professional growth and development. 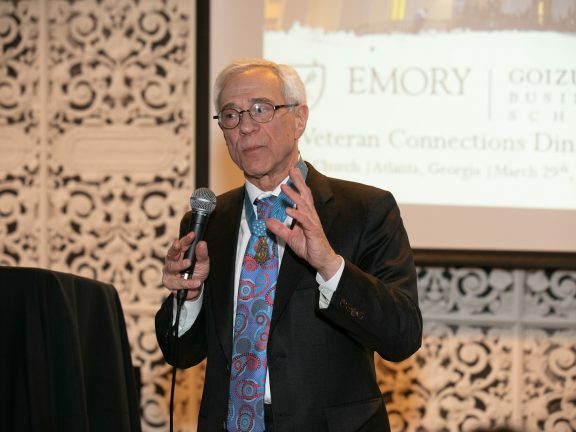 When SunTrust needed to navigate the financial crisis of 2010, they turned to Emory Executive Education to serve as their executive education partner to develop their leaders who would be tasked with pulling the company out of the recession and propel it forward. Their program, the Advanced Leadership Program was designed to drive employee engagement and business transformation. After two years, SunTrust undertook a business impact study, which showed the engagement levels of ALP graduates ranked significantly higher than other leaders in the company. SunTrust has demonstrated a clear linkage between ALP and increased sales, revenues and new client relationships. SunTrust and Emory have maintained a close partnership, and today, they are updating program objectives and modules to continue meeting SunTrust’s business needs for 2015 and beyond. Through close partnerships with our clients, Emory Executive Education is able to carefully address this major concern shown through Deloitte’s research – that of a leadership pipeline not ready to assume key roles. In addition, Emory is working to drive shareholder value by improving overall leadership capabilities, thereby enhancing investors’ valuation of the firm. The value is borne out across all clients generally, but specifically in the case of SunTrust, whose share value has increased 41 percent since our relationship began; 12 percent in just the past 12 months.